Risperidone is an atypical antipsychotic which is widely used to treatment of schizophrenia and symptoms of bipolar disorder (manic depression). 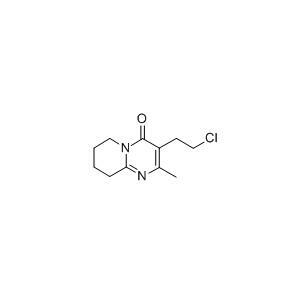 The intermediates of Risperidone CAS NO 63234-80-0, supplied by us, is precise formulation and repeated test to ensure its secure and stable. We have enough stock for delivery at any time for urgent requirement. Looking for ideal 63234-80-0 Manufacturer & supplier ? We have a wide selection at great prices to help you get creative. All the CAS 63234-80-0 are quality guaranteed. We are China Origin Factory of CAS NUMBER 63234-80-0. If you have any question, please feel free to contact us.